Two trailers and a viral campaign later, we have our third trailer for the upcoming J.J. Abrams-directed Star Trek Into Darkness. Though it is a bit of a retread on what we have seen before, this trailer puts emphasis on just how vulnerable the Starship Enterprise really is, and just how eager Captain Kirk (Chris Pine) is to avenge the glorious Federation after it has been hit by numerous interstellar terrorist attacks. 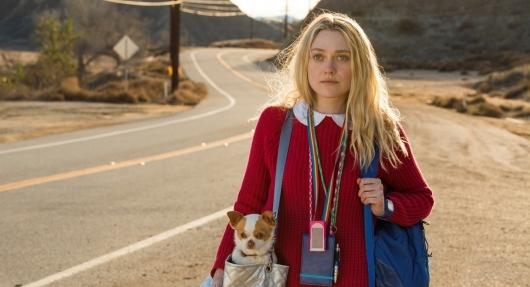 Hit the jump to check out the final trailer for the film. Just what does it mean to be outgunned, outmanned, and outmatched in the Star Trek universe? 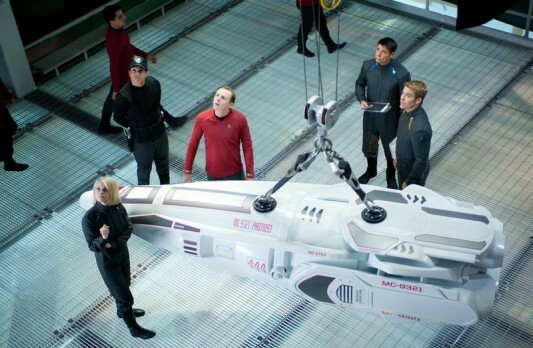 Well, based on this trailer, it looks like the people of the starship Enterprise have their work cut out for them. 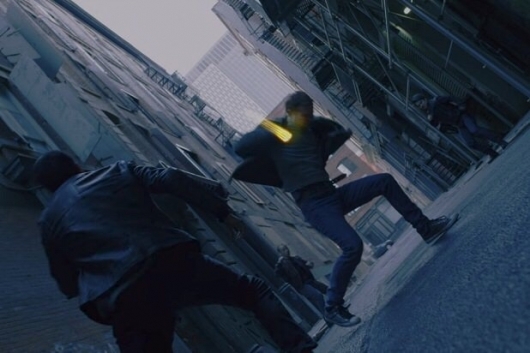 But no matter what stands before our heroes, Captain Kirk knows what he has to do to put an end to the villainous John Harrison (Benedict Cumberbatch). 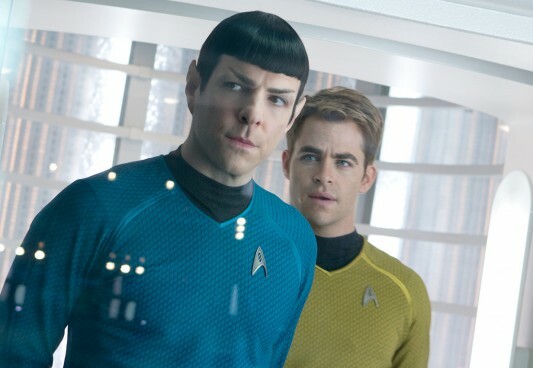 So, we will see how strong Kirk’s will is to put a stop to Harrison when Star Trek Into Darkness opens in theaters on May 17, 2013. A second teaser trailer has been released for Star Trek Into Darkness, J.J. Abrams‘ follow-up to his 2009 reboot Star Trek. You can watch the new teaser trailer here below. The basic premise is that Kirk and his crew of the Enterprise are on a mission to stop Benedict Cumberbatch’s mysterious Khan-like character, and to do so, they apparently need to maneuver a Millennium Falcon-like ship through an astroid field and then fly it into a tight trench to blow up the Death Star. From what I understand, this is the footage Abrams showed that landed him the Star Wars: Episode VII directing gig. Yesterday we reported that Benedict Cumberbatch‘s role in Star Trek Into Darkness had been revealed as John Harrison by Paramount Pictures via the release of a new official still, a revelation that revealed next to nothing about his actual character. Thus the fan speculation continued: he’s really playing Khan….or Gary Mitchell….or Spock’s brother Sybok….and so on and and so on…. Early reports from screenings of the 9-minute preview of the film that will begin playing this weekend before select IMAX 3D screening of The Hobbit: An Unexpected Journey (full list of IMAX theaters here) have claimed that a selection of Michael Giacchino‘s score for Into Darkness quotes from music composed by James Horner for Star Trek II: The Wrath of Khan, particularly the theme for the movie’s titular villain (played in the 1982 movie and the original series episode “Space Seed” by the late Ricardo Montalban). Today comes the news, courtesy of Silas Lesnick at Coming Soon, that the new character being played by Alice Eve has been confirmed, and it is a name fans of the Star Trek franchise will be very familiar with. What happened to Will Smith? There was a time (1997) when Smith made great, entertaining popcorn movies, but those days, it seems, are over. Since the back-to-back successes of Independence Day, Men in Black, and Enemy of the State, Smith’s filmography has been comprised of less hits and more misses: I, Robot, I Am Legend, Hancock, and his most recent film, 2008’s Seven Pounds, just to name a few. 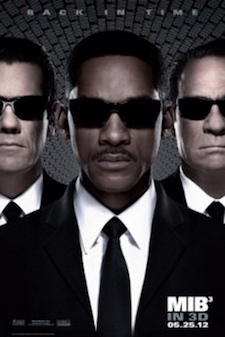 Directed by Barry Sonnenfeld, Men in Black III reunites Smith and Tommy Lee Jones as Agents J and K, members of a top-secret government agency tasked with protecting the Earth from the scum of the universe. Once upon a time (the late 1990s to be exact) Will Smith was not only the Fresh Prince, but he was also the king of the summer movie season – for two summers. Then came Wild Wild West. Ever since, Big Willie has been continuing to rack up the blockbusters while attempting to dominate different seasons that don’t involve millions of people suddenly deciding to go to the beach. 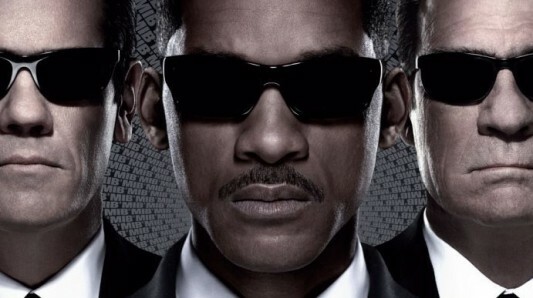 This summer, Smith is mounting an offensive to reclaim his summer movie king throne with the belated sequel Men in Black 3. Today, a full theatrical trailer has been released. You can watch it here below.